Wrinkles… don’t we just hate them? What’s even more unfortunate about them is that they come in all kinds of shapes and sizes depending on what they look like and where on the face they reside. If there’s any good news, there’s probably an answer to each one no matter what type of wrinkle you are coping with. Fine lines are the tiny lines that begin to populate the face as a precursor to wrinkles. Sunscreen to prevent sun damage that turns fine lines into wrinkles is step number one in fighting back. It’s also important to moisturize every day to keep the skin nourished and youthful-looking. Where skin is pressed together over time, permanent creases are the eventual result. These often occur on the cheeks or neck. Choose a moisturizer with powerful wrinkle-fighting ingredients to fight back such as Kristals Rose Quartz Oil Free Hydrating Cream. The eyes are one of the most expressive parts of the body, but the unfortunate side effect of a lifetime of bright, vibrant eyes is crow’s feet around their perimeter. 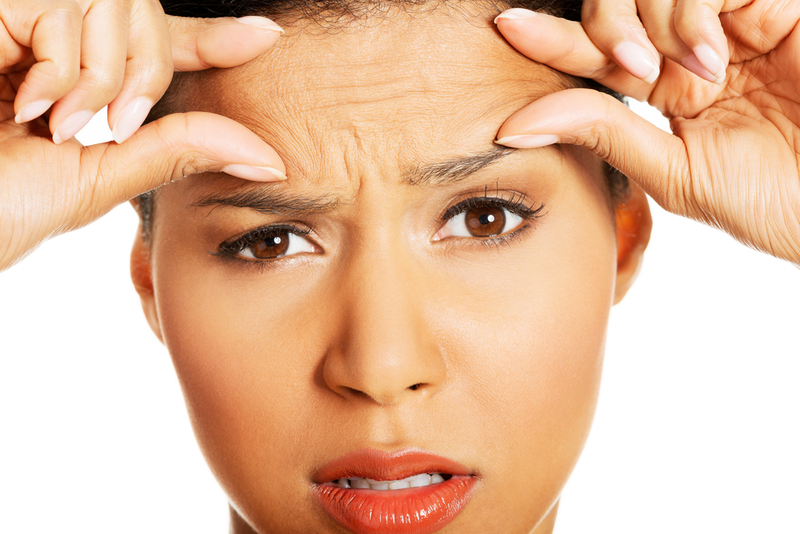 For this wrinkle type, try Kristal’s Sapphire Retinol Firming & Lifting Eye Cream. Like the eyes, the mouth can eventually bear the brunt of a lifetime of facial expressions with the tiny wrinkles known as smile lines. You can try Kristal’s Aventurine Collagen Booster Serum for a quick pick-me-up for your entire face. As time passes, gravity can lead to droopy skin and wrinkles. You can try Kristals Ruby Super Wrinkle Syringe to fight gravity over time. If you enjoyed learning more about Types of Wrinkles, consider reading Skin Care Products : How to tell good from bad.